On January 21, in the year of our Lord 1530, the emperor of the Holy Roman Empire, Charles V, decreed that the heads of state in his realm were to meet in the city of Augsburg, Germany, beginning in April of that year. Among the issues that they were to consider was the division between the Lutherans and the Roman Catholics. Elector John, ruler of Saxony, ordered Martin Luther and Philip Melanchthon, along with others, to prepare a Lutheran confession to present at the Diet of Augsburg. They immediately prepared a document called the Torgau Articles, which they delivered to the Elector in the city of Torgau. From there they made their way to Augsburg, stopping in the city of Coburg, where Luther had to remain because it was unsafe for him to appear in Augsburg. Melanchthon took with him the Torgau Articles, along with two other documents written chiefly by Martin Luther—the Schwabach Articles and the Marburg Articles. The phrase: Unaltered Augsburg Confession U.A.C. was reborn in America in the late 1800’s to stand against the “New Measures.” The “New Measures” were suggested by S.S. Schmucker the head of Gettysburg Seminary who emphasized “the religion of the spirit.” Schmucker wanted to Americanize Lutheranism. He and his followers were convinced that the Lutheran church in American must make wide concessions to the revivalistic and puritanic spirit of other American churches. The “new measures” were critical of The Augsburg Confession, they denounced all liturgical worship, they adopted revivalistic methods, and they over emphasized personal holiness. Schmucker wrote a small pamphlet called the “Definite Synodical Platform” in 1855. It corrected a number of “errors” in the Augsburg Confession, specified as: The approval of the mass, private confession and absolution, denial of the divine obligation of the Sabbath, baptismal regeneration, the real presence of Christ’s body and blood in the Lord’s Supper. (A Basic History of Lutheranism in America, Wentz, p.142) This platform proved to be too liberal even for the General Synod and was rejected. However, undercurrents remained. 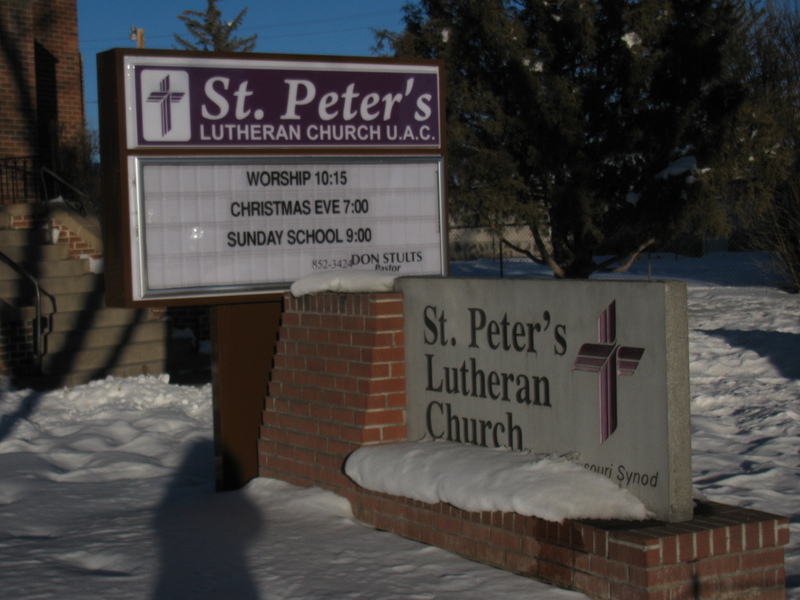 Some Lutheran churches, influenced by Schmucker, down played the importance of Holy Baptism, Holy Communion, and the Lutheran Liturgy, while allowing other inroads of puritanical teachings. The Lutherans who wanted to distance themselves from their faltering brothers and assure others of their solid biblical orthodoxy began including the letters U.A.C. in their official names, on their signs, and cornerstones. It has been said, “Those who will not study history are doomed to repeat it.” The church today continues to be tempted to compromise the faith. The devil continues to spread the lie that life would be better if everyone does whatever they want. U.A.C. calls us back to the faithful confession of the scriptures, to faithful reception of the sacraments, and to faithful practice of the liturgy all of which helps us continue to make the good confession. The ROC was a great conference. The main speakers were wonderful. Rev. Seltz, Rev. Hall, Dr. Parker, they were terrific. We were encouraged, inspired, and educated. And we came home with ideas…including the one for this blog! Look for ROC nuggets here soon!